This March join excited spectators at the Anantara Riverside for the inaugural Elephant Boat Race and River Festival 2019! View the fascinating competition sights from the banks of the Chao Phraya with friends and family as international teams partake in this thrilling race. The Elephant Boat Race & River Festival is on. The inaugural Bangkok event brings the age-old tradition of ‘dragon boat racing’ to the banks of the Chao Phraya river. This March join excited spectators at the Anantara Riverside for the inaugural Elephant Boat racing event and River Festival 2019! View the fascinating competition sights from the banks of the Chao Phraya with friends and family as international teams partake in this thrilling Bangkok festival event. The annual electric competition takes place on the river and sees competitors partake in cultural boat racing and the paddling of unique elephant and designer themed boats. As the water contests run throughout the day, entertainment can be found on-land and includes a digital rowing tournament, Old Siam lady’s day, concerts, champagne tents, beer gardens and much more! 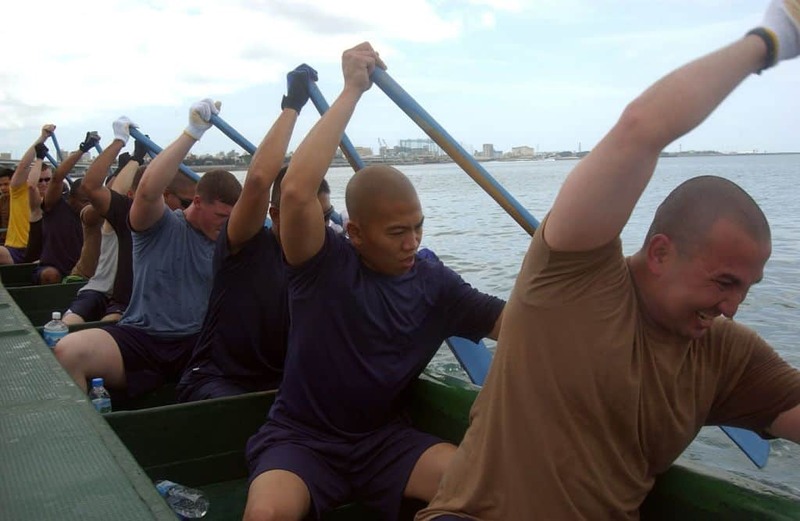 The Elephant Boat Race & River Festival will include exciting appearances from international teams and the Thai Navy Seals. The annual festival brings a great sense of community to the riverside and always creates a large buzz throughout the crowds. The waterfront will be brought to life with the spirit of the elephants and incredible art installation from the Golden Triangle Elephant Foundation (GTAEF) will also feature.